When you start trading Forex, the first thing you notice is that there is no explicit fee that a broker charges you (unless you start with an ECN account). In fact, “no fees and no commission” is a phrase you can often see in Forex related advertisements. Obviously, brokers cannot operate without earnings, so most FX traders get to pay some sort of spread on each trade. Alternatively, a broker may employ commission based on trade volume if its operational model includes raw spreads or zero spreads. Basically, there are three types of fees prevalent in online Forex trading: fixed spreads, variable spreads, and commission. Each has its own pros and cons and can serve well or poorly depending on your trading style. Fixed spreads — the simplest model, which seems very novice-friendly, but has its hidden disadvantages. During increased volatility in currency rates, a fixed spread will mean requotes if your broker uses instant execution model, and slippage if your broker operates with market execution. In both cases, your trading process will be disrupted, making you miss a trade or land a trade much different from the planned one. Nevertheless, a fixed spread allows for accurate trading cost planning and protects you from the trades that could otherwise turn too expensive. In my opinion, fixed spreads are best suited for scalpers and other short-term traders. Variable spreads — this model makes the a bid/ask difference change almost every tick. It also means that traders will normally experience tighter spreads during periods of calm markets. Unfortunately, it will also result in very wide spreads during high volatility or low liquidity periods. This type of trading fees is well-suited for long-term traders because they have the luxury of less restricted timing for opening their positions. Commission — a traditional compensation model for trading intermediaries in non-spot FX, but it is a less popular scheme in retail Forex industry. Not only zero-spread accounts, but also ECN accounts with near-zero spreads usually have some sort of commission, which is based on trade volume. 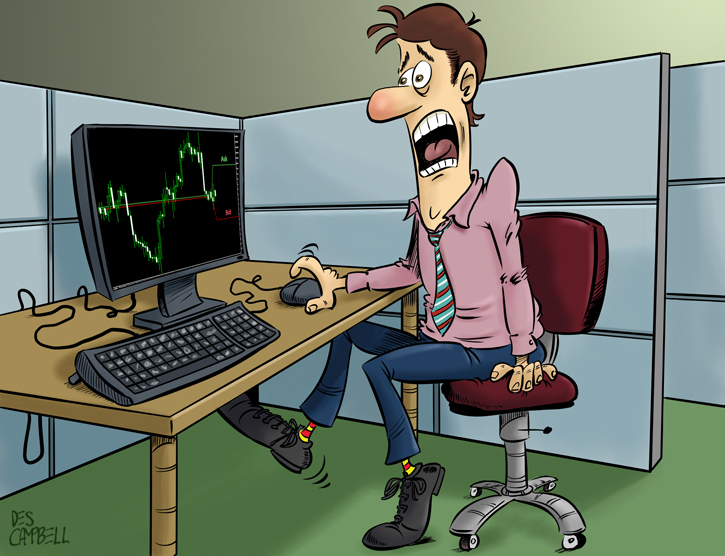 This type of fee is preferred by traders who operate during news or periods of low liquidity. Paying commissions, which often are pretty high, protects such traders from abnormally wide spreads, requotes, and slippage. My own preference lies with variable spreads for my chart pattern trading and commission/zero-spread combination for my news trading. And how about you? What type of Forex trading charges do you prefer? If you want to tell us more about how you prefer to pay for your trades, please post your commentary using the form below.